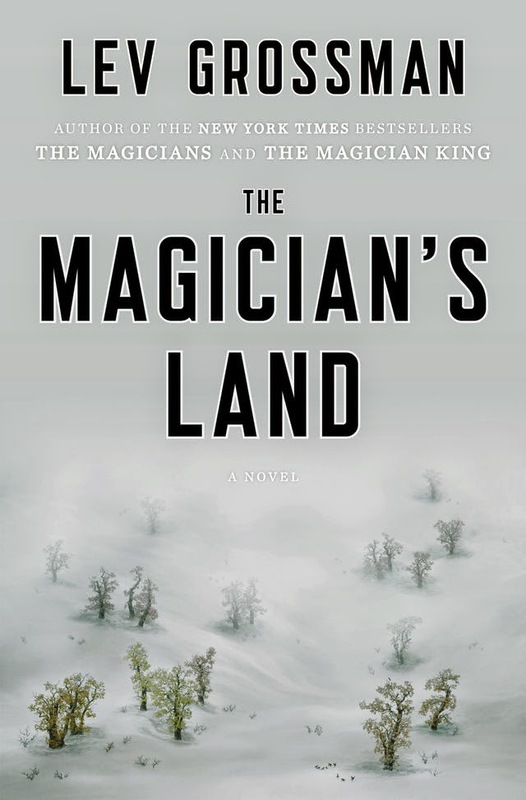 If The Magicians is an adult riff on Harry Potter, and The Magician King is Lev Grossman’s take on a classic Narnian quest, then The Magician’s Land truly defies expectations. While reading The Magician’s Land, it becomes apparent how not only Quentin Coldwater, our now-30 emotionally grown main character, has matured, but also how the writing skills of Grossman have matured. Completing Quentin’s story in The Magician’s Land, Grossman not only takes a strong stance in challenging what exactly a fantasy novel can discuss-- creating a complex, magical, and modern bildungsroman—but also explores Quentin’s growth and actualization by finally opening up the narrative and creating a thick, suspenseful plot using a host of characters and their points of view. In what is probably the best aspect of the novel, Grossman flexes his now well-practiced perspective writing in The Magician’s Land by constantly passing the point of view, and creates a more interesting read because of it. Reading through the perspectives of characters previously only seen through Quentin is fresh, showing much more of Grossman’s examinations of magic and mental health, and goes a long way towards showing exactly what it means for Quentin to have grown up. Janet’s story of what she did in The Magician King in particular is chilling and terrifying and absolutely too true to her, satisfyingly showing the strength of her character, but the new character, Plum, has her own secrets, trauma, and growth that stand as a gratifying counter to Quentin. Starting a little rocky with Grossman juggling an extended flashback through multiple perspectives on Quentin's time as Brakebills faculty, along with a plot involving the apocalypse of Fillory and the former Physical Kids, it comes off as questionable about how everything comes together, or matters at all. But as the book progresses, especially by the end of Quentin’s stint at Brakebills, all Grossman’s tricks become apparent as he skillfully dodges expectations and tropes, and through the twists and turns within this seeming maze of a novel, the pay-off is huge. Once again Lev Grossman has shown the pains and realities of growing up and living a fantasy, but this time shows the utter joy of magic—watch for the fantastic scene built on the question “Why not turn into whales?”— as well as the fulfillment of growing up, leaving The Magicians Trilogy with a capstone that will satisfy fans and skeptics of the series exactly how they need it. It looks great! I'm just so happy that the trilogy lived up to expectations and it's not often that all of the books in a series are so strong. This has been a big part of summer around our house, waiting for this release.